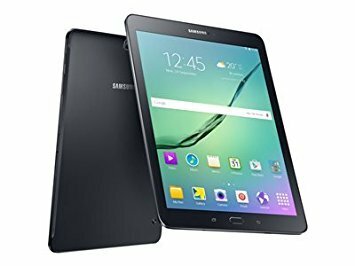 Samsung Galaxy Tab S2 - Tablet - Android 6.0 (Marshmallow) - 32 GB - 8" Super AMOLED ( 2048 x 1536 ) - rear camera + front camera - microSD slot - Wi-Fi, Bluetooth - blackBuilt for ultra-fast performance, the sleek Samsung Galaxy Tab S2 goes anywhere you go. Photos and movies come to life on a crisp, clear Super AMOLED display. Expandable memory lets you enjoy more of your favorite content. And connecting and sharing between all your Samsung devices is easier than ever. Welcome to life with the reimagined Samsung Galaxy Tab S2.